After a businessman disappears the FBI draw a blank except for some unpleasant letters he wrote to a call-girl called Bree (Jane Fonda). His small-town friend John Klute (Donald Sutherland) travels to the big city to seek her out. At first their relationship is wary, and she sees him as just another guy to manipulate. 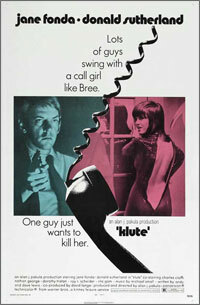 But someone may already be stalking her, and as Klute's activities add to the danger a bond of sorts starts to grow. Charles Cioff's Office, Church Street and Dey Street, Financial, Manhattan. 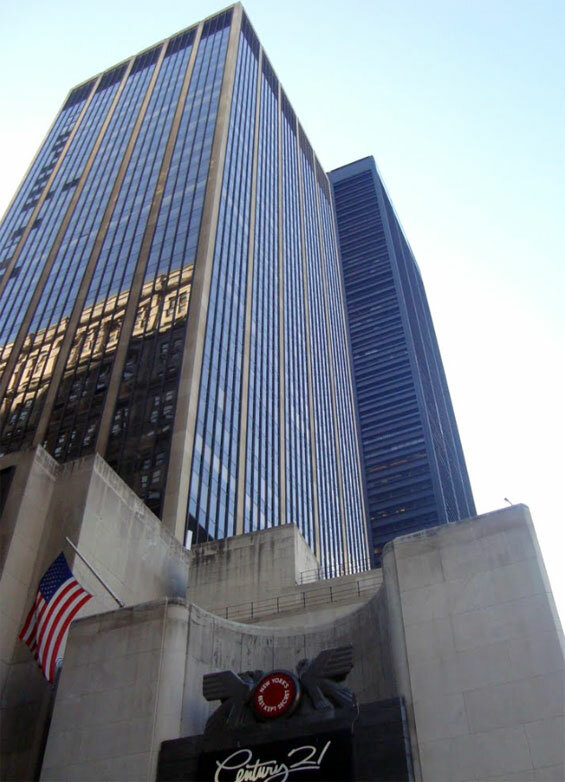 otsoNY Comments: Character Charles Cioff occupies an office high up in a skyscraper. Through the floor to ceiling windows, you can clearly make out the World Trade Center towers being constructed. The North tower ahead of the south tower which still shows the reddish primer paint. The origins of the World Trade Center extend back to 1946, when the New York Legislature created the World Trade Corporation with a view to creating a trade center in Manhattan. 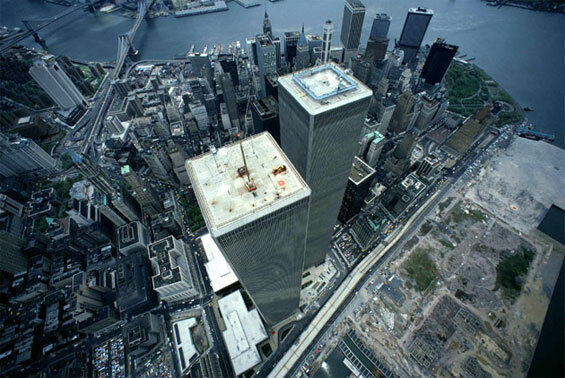 The Port Authority chose as the site for the WTC in 1962 the block bounded by West, Church, Liberty, and Vesey Streets, and selected architect Minoru Yamasaki to design the project. At Yamasaki's request, Worthington, Skilling, Helle and Jackson was selected as the engineering firm, and Yamasaki worked closely with its engineers John Skilling and Leslie Robertson. The architectural firm Emery Roth & Sons handled production work. Construction began in 1966. 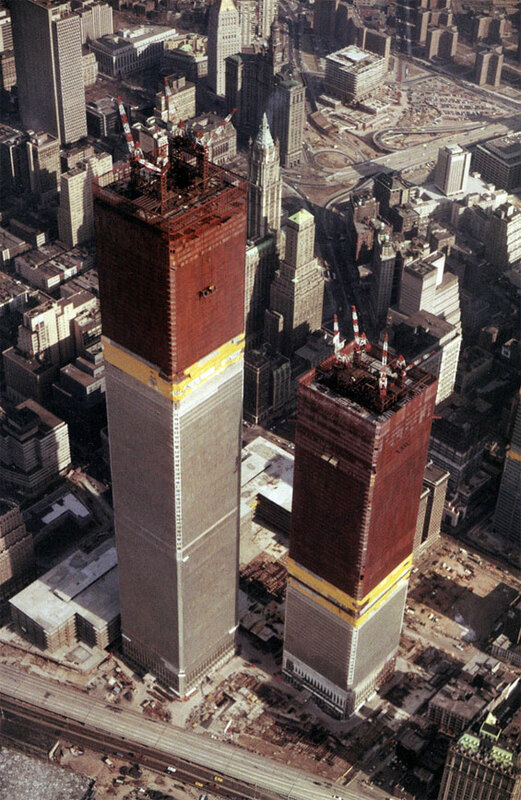 WTC 1, the North Tower, rose ahead of WTC 2. Although not completed until 1972, lower floors were ready for their first tenants in late 1970. WTC 2, the South Tower, was finished in 1973. Of the more than 10,000 workers involved in building the complex, eight died in construction accidents. The towers were dedicated on April 4th, 1973. The owners initially had difficulty finding tenants to fill the enormous towers, which had over 8 million square feet of floor space. Most of the North Tower was still unoccupied when a serious fire broke out in February of 1975. The 110-story Twin Towers, rising 1,368 and 1,362 feet, remained the world's tallest and largest buildings until they were surpassed by the Sears Tower in 1974. 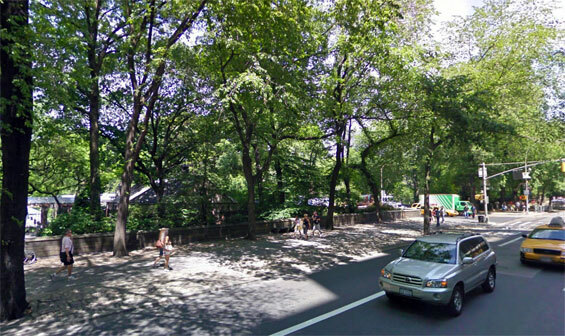 5th Avenue (btw East 64th and 65th Street) Manhattan.